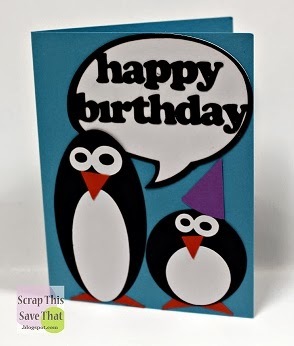 Scrap This, Save That: Happy Birthday Penguins! 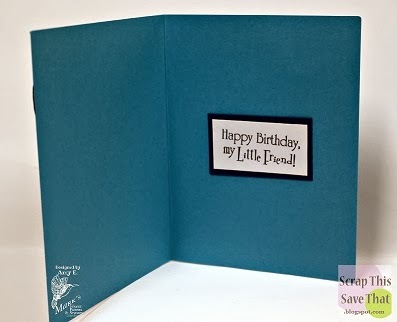 A dear friend is having a birthday today, so I wanted to make a quick and easy cute little card for her. 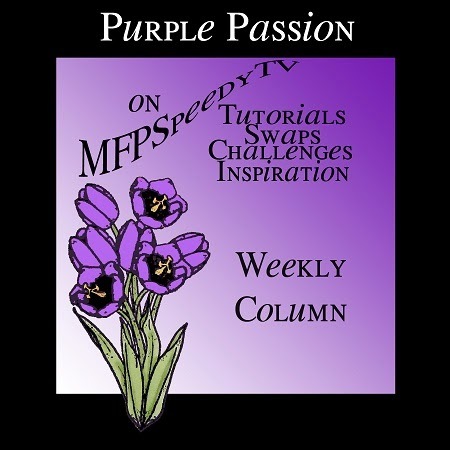 And of course, since my favorite color is purple, I had to throw just a little bit of it onto the card so that it will coincide with my Purple Passion column over at theMark's Finest Paper's Ning site. The nice thing about using purple is that it is such a powerful color, you can still make quite an impact using just a very small amount. The penguin's little purple hat gives the card that perfect pop of color. I chose an adorable cut file from the Silhouette Store and use my Cameo to make it come to life. The name of the file is Penguin Birthday Card. I just used scraps from my stash for the whole card. 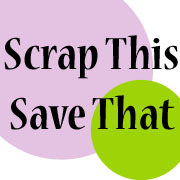 I swear, one of these days I WILL use up all my scraps! The sentiment I chose to use comes from Mark's Finest Paper's stamp set called Garden Art. I haven't had a chance to play with this stamp set too much yet, but fully plan to when I start making Spring cards and scrapbook pages. The images are completely adorable. I stamped my sentiment in Memento ink in tuxedo black and matted it in coordinating card stock colors. Have a great day and see you tomorrow! !